TGV Cinemas is well known throughout West Malaysia. It seems that it is about time that they started to spread their wings to the land of Borneo. That is what happened on 12 March 2015. TGV Cinemas finally comes to Miri, Sarawak. Now people in Miri and it surrounding areas has more choices to pick which cinemas to go to. 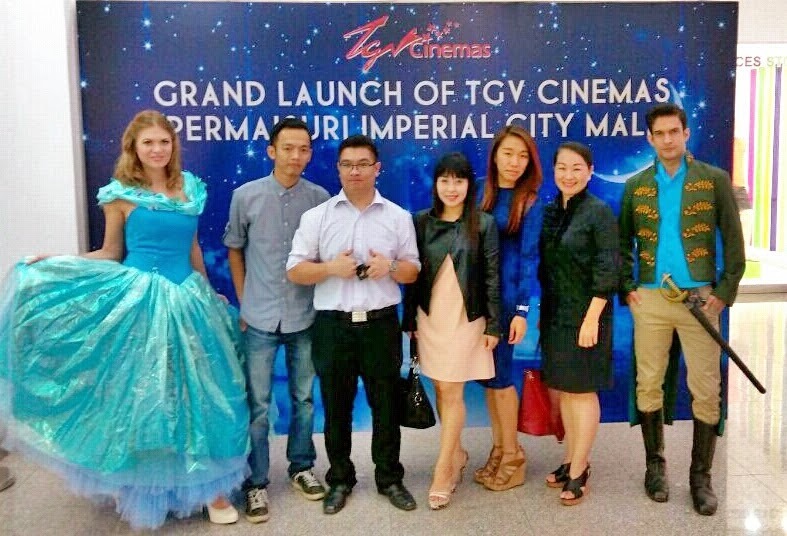 The grand opening was held at Permaisuri Imperial City Mall, Miri. The launch was officiated by Assistant Minister of Sports and Communications Sarawak YB Datuk Lee Kim Shin, Mayor of Miri City Council Lawrence Lai, Chief Executive Director of Boulevard Group of Companies Ling Chion Sing, Chief Executive Officer of Boulevard Group of Companies Don Yew Hoon and Chief Executive Officer of TGV Cinemas Gerald V Dibbayawan. 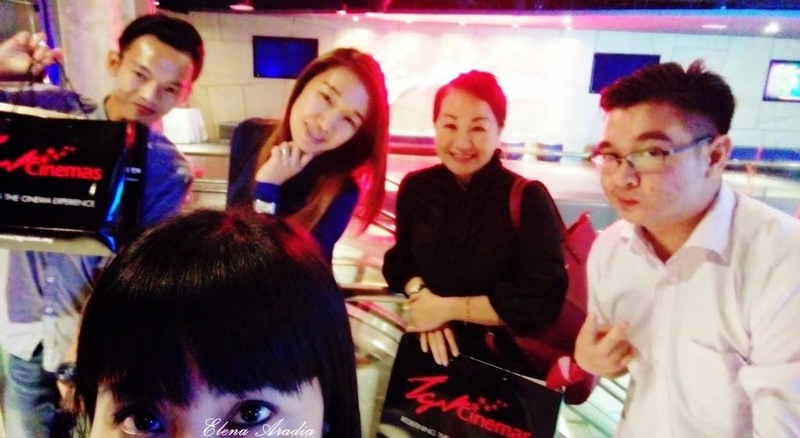 Right after the grand opening ceremony, we were invited for the press conference which was at hall 5 of TGV Cinemas and was also invited to the premiere of, Cinderella. Yes people, I watched Cinderella with my fellow bloggers! We sat at the beanie seat, which was a little uncomfortable, maybe because I was sitting next to my best-friend while watching Cinderella. Sorry for those that loved that chair, I just don't 'dig it'. I did took some photos of the event but unfortunately all the photos are uploaded to my old laptop and now that laptop is basically dead. So, I am still try to find a way to retrieve all the photos and will upload all of them soon. For the time-being, here's a LINK for some of the photos I manage to get. Personal view on the cinemas? Well, they have 8 halls all together and I love the toilet pipe design. Sorry, just have to say that. The industrial look is awesome! Now back to the cinema, I haven't actually been to all of the halls but the sound quality is good but they need to work more on the soundproof of the halls. But it seems to be common amongst the cinemas here in Miri and people are not bothered about that. The seats are great, not the beanie-seat, but the individual seats. They are huge and more leg room so its easy for some customer to go in and out. Ignore my awkward 'thumbs up' pose. Before I forget, thank you again to the good people of TGV Cinemas, Ms. Nandini, PR Executive of TGV Cinemas and many others that are involve in this launch. Thanks again for the Air Force One complimentary passes, will put that to good use very soon. Just for the sake of sharing, here are some photos taken from my fellow bloggers. Of course we must have this kind of shots!